I was referred to Joni through a friend. Felt like I'd struck gold. I had to be out of the country for most of the process, and couldn't believe how easy she made it for me. Joni was totally hands-on with great advice and tremendous support. Our house sold in the first week and we were delighted! We very much appreciated Joni's depth of knowledge and impeccable professionalism when we recently sold and purchased another home. We would not hesitate to recommend her. Joni demonstrated a high level professionalism, customer respect, hard work and personal involvement in the sale and purchase of our home. Once we made the decision to downsize and sell our house Joni displayed her experience and professionalism as a realtor. We were quickly organized with home improvements, staging, and advertising to the widest possible market. Joni graciously hosted many open houses for us throughout the summer. She handled negotiations with good instincts and a calm demeanor. The happy result is our house is now once again filled with the life of a busy family. Joni came to us highly recommended by friends, and we are delighted to pass on the recommendation to others contemplating entering the real estate market. With Joni’s help and great organizational skills we sold our home above the asking price in five days! During the entire process Joni kept in constant communication with us and ensured that the process went smoothly. We received excellent service and advice on the sale of our home and we would highly recommend her to anyone who is going to buy or sell a home. We can't thank you enough for your remarkable skills and hard work to help us through the sale of our house. Your advice was wise and patient - you handled us well, and your honesty and caring always shine through! Thanks to you and to all of the team at Royal LePage! It was so much fun going out to look for places with you! We are so pleased with the cottage. Thank you so much for your patience, commitment and honesty. Many, Many thanks for all your help, encouragement and understanding during the selling of our home. You made a stressful time so much easier. When it was time to buy a new place, you patiently went through many homes with us eager that we find the "right" spot. We are now fully settled in and happy with our new home. When it comes time to move again, we will certainly call you. In the meantime, we recommend you to everyone we know contemplating a move! It was a really good experience working with Joni. She responded quickly to any questions we had and provided solid and timely advice and guidance. We would recommend her to anyone looking to purchase a new house or condo. Joni was my Realtor for my first home and I could not have asked for a more perfect fit for such an important time in my life! She came HIGHLY recommended by multiple close friends who have all purchased homes through Joni over the last few years - and she most definitely lived up to & surpassed all expectations! Joni was able to anticipate all of my needs, and understood exactly what I was looking for. She works around the clock and always made herself available to help with any question or house showing I had. I could not possibly be happier with my home. I am truly lucky to have found Joni, and will (have already started) make sure to recommend her to any and every friend and coworker of mine in the future. Thanks so much Joni!! Well, it's done! Signed; sealed; and, delivered. We couldn't be happier with the outcome. That we achieved our objective - one that was notably more ambitious than we had originally considered - is in large measure a result of your hard work and keen advice. The strong recommendations from good friends that brought us together were obviously well placed - and we're thankful for that fact - a fact we'll be happy to share with others. Joni Campbell is an excellent real estate agent. Client-focused, responsive, very hard-working with superb knowledge of the market. She said she could sell our family home in a few days for the asking price– and she did! Joni then zeroed in on our goals for our next home. 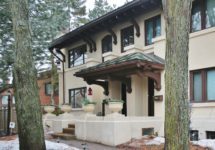 It wasn’t long before Joni found it – a Westboro townhouse. Her efforts to make the purchase exceeded expectations - the place wasn’t yet listed! We were living temporarily a couple of hours away so we relied on her for a lot of extras. We whole-heartedly recommend Joni for selling and buying real estate. Joni is amazing! 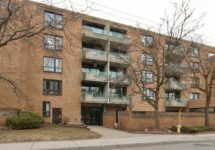 In Ottawa’s mature condo environment, ours sold within the first week of listing. If you have any reticence about choosing a realtor, we highly recommend you select and work with Joni Campbell. You’ll find Joni is a professional - she has a strong client focus and the interpersonal and organizational skills that will give you the confidence needed during the potentially daunting process of selling a home. Trust Joni's advice on pricing to sell and you’ll soon be benefiting from her no-nonsense negotiating and closing skills. Joni is backed by an exceptionally strong team that she is not reluctant to engage to move the process along. You can count on Joni's leadership and know that she will spare no effort to seal the deal. We were sitting on a beach 4000 km away while she skillfully managed all the necessary interactions and paperwork to complete the sale. Thank you Joni. All your effort was very much appreciated!" Joni - I can’t thank you enough for everything. It was truly a privilege to work with you as my realtor representing my interests when selling my home. Working with you was a joy and it so great to know you were there to help me during every step of the process. You and your team truly went above and beyond all expectations – from preparing my home for sale and the building inspection, to showing it, negotiating the sale, and closing it. You made me feel very secure during what is a very involved process. You are a true professional in every sense of the word with tremendous intuition and you put your clients’ interests first. Your knowledge, dedication and hard work is unparalleled. It would be hard to envision someone doing a better job than you or being anything but happy in choosing to work with you. Thank you so much! We can't thank you enough for your help and endurance in our marathon weekend of house hunting! We really appreciated your insight and advice. We would be happy to pass your name on to friends and neighbours looking for a real estate agent. We are so very happy with where we have landed! We'll see you around the neighbourhood! Just a little note from both of us to let you know that we think you are one of the sweetest people on earth. You have been so helpful with us and for us. The little cards, notes, and "treats" we get from you delight us to no end. You are one in a "billion". We recently engaged Joni to list my father's house, who recently passed away. Joni had wonderful suggestions on how to refresh the house without doing total renovations and helped us with every step along the way. Joni is an outstanding agent. She worked diligently to sell my home and was always available. She genuinely likes to help people and it shows. She is generous, kind and a great communicator. With her, everything has to be clear. No unpleasant surprises for either the buyer or the seller. She worked tirelessly on my behalf. Joni is knowledgeable and efficient and certainly went the extra mile to make sure everything was just right. I could not have asked for a better agent. I have been recommending Joni to anyone thinking of buying or selling a house. There were several houses available in my price range in my area, but my home sold first. I attribute that directly to Joni and the home staging service she offers to all her clients. She also gave me crucial advice when I was negotiating with the buyer, which led to a very happy outcome. After the sale, Joni helped me find a rental property. I intend to recommend her to all my friends. Very knowledgeable and excellent service! Joni is an amazing realtor who has a no pressure approach and impeccable professionalism. She has a thorough knowledge of the city of Ottawa which really helped my wife and I in our approach. She took the time to know what we were looking for and her recommendations where spot on! Joni was instrumental in the quick sale of our home. She demonstrated to us that she is an experienced, knowledgeable and innovative realtor. She set out a comprehensive operational plan to sell our house, which she supported with an effective and multi-pronged communications strategy to best highlight the attributes of our home and inform the widest possible buying audience about them. She provided sage advice throughout the process and kept us informed at every step along the way with regular activity reports. Her intelligence, warm personality, can-do attitude and strong inter-personal skill were evident from our initial meeting and never once flagged through the entire process. In the end, and in a relatively short period, we came to see Joni more as a friend than the superb real estate agent that she is, which really says a lot about her skills and abilities. Joni really does "open doors." Congratulations Joni! We feel that you have managed the listing and sale of our property to the highest standard. 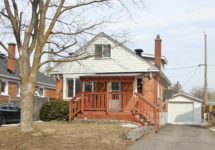 The comprehensive listing details for our property and information on the surrounding Westboro neighbourhood was excellent. Potential buyers had the opportunity to review the area information at the time of viewing the home. Your research on schools, shops, parks, churches etc was impressive and copies of the prepared documentation was conveniently available to those interested. We had confidence in your ability to manage the marketing and were satisfied that you were making every effort to sell the home. Thank you. As newcomers to Ottawa, Joni Campbell proved to be invaluable to us. She carefully considering our desired location, our wishlist of features, and our price range. She then found us our dream house! Many thanks Joni!" Dear Joni - We have bought and sold many houses over the years but this is the first time we have used you as our realtor......your are the best realtor we've ever had. You are so professional and supportive with excellent negotiating skills. The staging and photos of our house contributed to our getting three offers over list price on the first day on the market, and a final sale within a week. Thank you so much and we will recommend you to anyone. 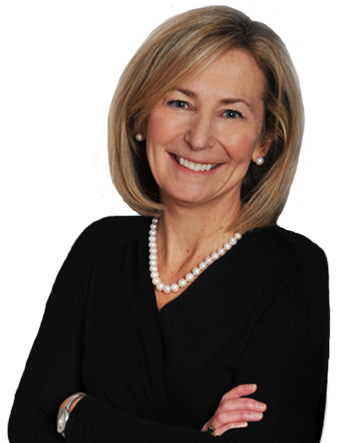 Joni Campbell is an exemplary real estate agent- professional, proactive, supportive and patient. She carefully researched the area to which we wanted to move and helped us find the perfect spot. Then, Joni had indispensable advice, contacts and resources for the preparation of our home for sale, and was resourceful and diligent during the sale process. Best of all, it’s obvious she loves her job and that enthusiasm is infectious. I heartily recommend her! Joni's service went far above and beyond what might be expected of any Real Estate agent; she was the consummate professional, but with a human touch. Joni is an astute businesswoman, and skilled in all facets of negotiation. As both a buyer and seller, I found myself able to depend wholly on her advice and guidance at every step of the process. From our first meeting, through the staging and showings, right down to the post-closing details, Joni was always available, and easy to access. Her patience, dependability and attention to detail made me feel at ease with what would otherwise have been a foreign and stressful process. Last but not least, Joni infused the process of searching for a new home with her seemingly boundless positive energy and made it fun... it felt like house-hunting with an excited friend who just happened to be an expert. As a first-time home buyer, I am so thankful that I was able to work towards my goal alongside someone as cheerful, confident, and capable in her field as Joni Campbell. She was behind me every step of the way! We would like to thank you for making our home buying process in Ottawa a wonderfully exciting experience. We have yet to meet a realtor who is as genuine and sincere as you. It truly shows that you love helping people find a great home that fits exactly what they are looking for. Your personal touches, thoroughness, and wealth of knowledge of the city made purchasing our home very easy. Even after closing, you have continued to provide guidance with renovations and getting acquainted with the neighborhood We are so lucky to have had you as our realtor and would recommend you to anyone interested in buying or selling a home. Dear Joni! We are so grateful for all your help with the sale of Mom’s house! I appreciate that you delivered exactly what you promised, in a timely, supportive and professional manner. It has been a pleasure to have been on your team for the sale of 611 Windermere. Continued success in the neighborhood! We are very grateful to you for all the looking. We finally found a very cozy, comfortable home. We can't thank you enough. We are enjoying every moment here. Joni was always professional, dedicated, and insightful. She has a great instinct for the Ottawa area market and was willing to go the extra mile. We wouldn't consider any other realtor. It was an absolute pleasure working with and getting to know her. I had to post a note about our fabulous realtor, Joni Campbell and recommend her services. From the first minute we met Joni, she completely put us at ease. She is genuine, direct, friendly, funny, passionate and kind all rolled in one. She has a vast knowledge of the realty business and great connections to an array of trustworthy tradespeople, should your home need a little TLC. We appreciated her honest evaluations as we toured many houses. In fact, Joni was recommend to us by an acquaintance who viewed over 75 houses, all with Joni! This clearly demonstrates her patience as well as the level of care she affords to all of her clients. There is never any sort of pressure to buy. We purchased our home in January, and since then she has contacted us periodically to see how we are loving our home. You won't be disappointed with Joni. Joni provided incredible service and advice while we searched for the perfect house to call home. Her knowledge of the market was exceptional. Trustworthy, reliable and responsive, she knew exactly what we were looking for and delivered. We have already recommended her to friends and will continue to do so. Joni Campbell is the answer to every first-time home buyer's prayers. We had an extremely satisfying experience with her. Joni understood our expectations and knew how to convert them to reality in the current market environment. She quickly gained our confidence and we were very impressed with her and her knowledge, honesty, and professionalism throughout our real estate dealing. She is prompt, tactful, dedicated, friendly, thorough, and realistic. Simply outstanding! She was there to listen and help us 24/7 (literally!). We couldn't imagine selecting anyone else for future sales or purchase. It was a privilege to have her with us and we would highly recommend her to anyone in need of realty services. 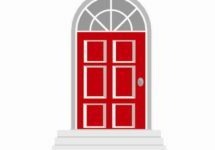 We tried to sell our family home privately and learned the hard way that this can be a very unpleasant process. We then listed our home with Joni who provided us with great assistance throughout the pre-listing and listing period. She certainly made the process painless compared to conducting a private sale. I have a better appreciation of the work put into a sale by a realtor and based on our previous experience would never consider attempting a private sale again. I will be pleased to pass Joni's name on to any friends or acquaintances who may be in the market for a realtor. Thanks again for all your help. Thank you for going above and beyond for us! We'll always speak highly of you and continue to refer you. Joni provided exemplary support during the sale of my house this summer (2015). Her experience and knowledge of the market really came through in helping me to get both a good price and a fast sale. We were so pleased with the relationship we developed with Joni around both the sale and purchase of our homes. Her enthusiasm, professional advice, outstanding marketing and assistance produced better than ever expected results. We would, and have, recommend Joni to others and in turn, have been thanked for suggesting her as an amazing realtor. Joni deserves the success she has garnered in her field. — Sharon & Jack Ogilvie, Highland Pk & McKellar Hts. Joni was a pleasure to work with in selling my old home and buying my new home. I especially appreciated her help on selling my home – she was well organized with a market analysis and did an amazing job on staging the home. She was also very helpful and patient with me in finding my new home. Her knowledge and honesty was very helpful as we searched the city to find the perfect home. As first time home buyers, Joni navigated us through the intimidating Westboro market while providing all the extra help we needed to buy with confidence and excitement. Joni is a polished professional with exceptional market knowledge; combine that with her warm personality, and you have the perfect person to help find you your home. I absolutely LOVE my new house and the person who found it for me was Joni Campbell, a most professional agent with great communication skills. Joni drove me around several days to show me different neighbourhoods and arranged visits to many houses. Gradually she helped me define my needs and hopes for a wonderful house. Her enthusiasm and conviction that we would find the right property was infectious. I thoroughly enjoyed dealing with Joni and have already recommended her to others. 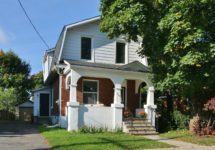 Her integrity and knowledge of the Ottawa market provided me with confidence. The final decision to buy was surprisingly easy and completed within 24 hours. Now that’s service! Thanks for all your patience, and advice, Joni. We are extremely appreciative of Joni's supportive, accessible, and warm approach when working with us to buy our first home. She is a complete professional; she exceeded all of our expectations and has our highest recommendation. Joni is a pleasure to work with, provides timely responses, sage advice, is professional and thorough, works incredibly hard, and she and her team go the extra mile to make sure her clients get the best service possible, with the least amount of stress. I have already recommended Joni to friends. As first-time home buyers, Joni made the process simple and stress-free. We really appreciated her approach, her candor, and her knowledge of the market. We’re very happy with our home, and our experience with Joni. Joni was invaluable to us as we faced the daunting task of selling our beloved home to move to another city. Her professionalism, integrity, wealth of information, personal touch and top notch service came shining through every step of the way. Joni was at our side from the get go and repeatedly went the extra mile for us - so incredibly generous with her time, advice and support. Joni's calm and confident manner put us at ease as she guided us through the selling process. We were extremely well represented by Joni and we happily recommend her to anyone looking to sell or buy a home. We can’t imagine a better real estate experience, and would recommend Joni to anyone looking to buy or sell property. She demonstrates intelligence, integrity, and genuine interest in helping her clients achieve their real estate goals. She took the time to understand our family’s needs, then responded quickly, competently, and consistently, to ensure that our experience was positive and resulted in an outcome that exceeded our expectations. Joni's knowledge of the local real estate market, genuine understanding of our family’s needs, and reassuring and calm manner made the sale of our home a positive and rewarding experience — both for us, and for the buyers. Joni handled the sale of our home while we have been living outside of Canada. She provided sage and timely advice and was always professional and courteous. We highly recommend her. Thank you so much for your help and expertise in getting us our wonderful house. We absolutely love it and its feeling more like home everyday. Joni is a fantastic realtor and a credit to her profession. Her knowledge, professionalism, and passion to meet the needs of her client make home buying a truly enjoyable experience. We love our home in Westboro and have Joni to thank! Joni is absolutely fabulous! From the minute we met her, it was clear that she was working to understand exactly what we wanted in a house and how we could make that happen. She went out of her way to find places that fit our taste, our price range and she provided tons of background information about each house that we considered. As first time buyers we were scared of overspending on our house. Joni went to work and in the end we wound up in the exact neighborhood we wanted, in a perfect sized house, in fabulous condition for a really affordable price! We can't thank you enough Joni! Many, many thanks for the service in sale of house. Transition to condo life has been smooth and we are comfortable. We recently bought our first home with Joni and were absolutely thrilled with the service she provided. This being our first experience with the housing market, we were very daunted by the house-buying process. We didn't even know where to begin, but Joni guided us through the entire process not only patiently, but enthusiastically. She explained exactly how the market and process worked, addressed all of our concerns, and gave us practical advice that led to the purchase of our first home! With her help, we found our house quickly and managed to get it under asking price. What exceeded my expectations of Joni's service was that she was always available when we needed her and that she made the entire experience easy and stress free. We have made a lifelong relationship with Joni and will work with her again when we are ready to buy our next home. Joni Campbell was our agent in selling my mother's apartment condominium. Throughout the process she was exceptionally professional, prompt and helpful. Joni did an excellent job of staging the unit. Her advice throughout was not just focused on the 'best' set up to sell the unit but also on what was cost effective for us... I felt that she was always mindful of what was good for us as her clients while she worked diligently towards a sale. I did not expect this level of commitment and professionalism from the industry and would strongly recommend her. Listings are flying off the shelf! Great new listings are coming soon!